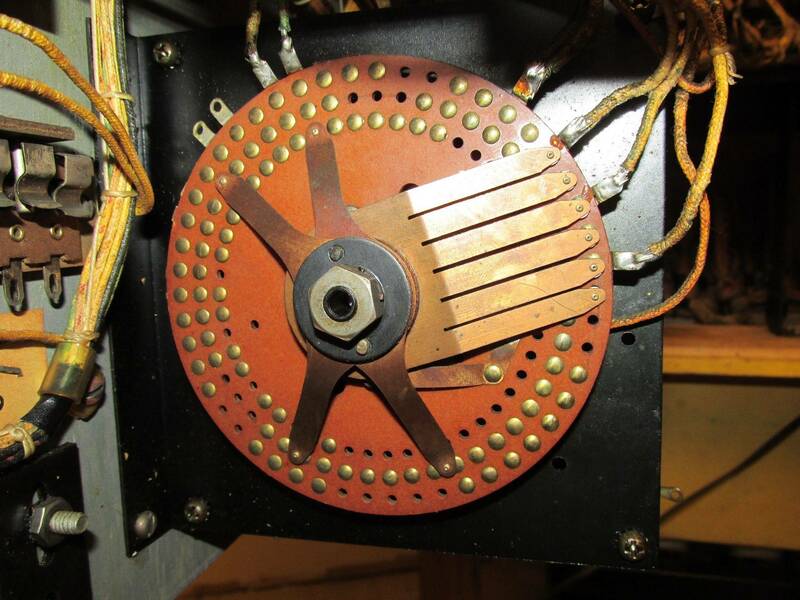 » Forum » Electro-Mechanical » EM Bingos » anyone have a surf club and easy access to the back? » anyone have a surf club and easy access to the back? anyone have a surf club and easy access to the back? 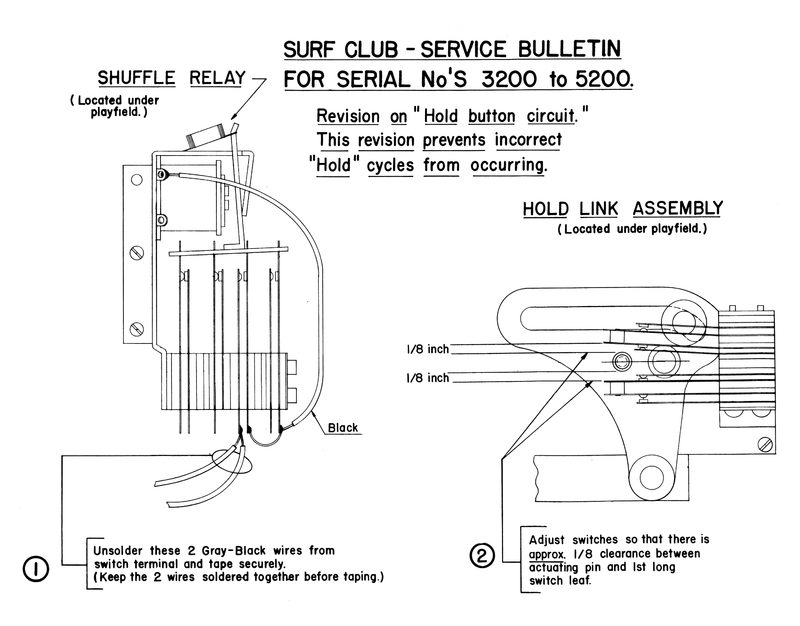 while getting some info from John B. on his yacht club reflex unit, I took a look at the surf club diagram on the bingo site and am questioning my accuracy. of course, I can't find a good picture of the surf club reflex unit wipers and contact plate, and frankly it's a complete non-issue since I'm concerned with wipers and rivets that aren't even used on surf club ... but since the units tended to be used in multiple machines, it may be more relevant to a different game. 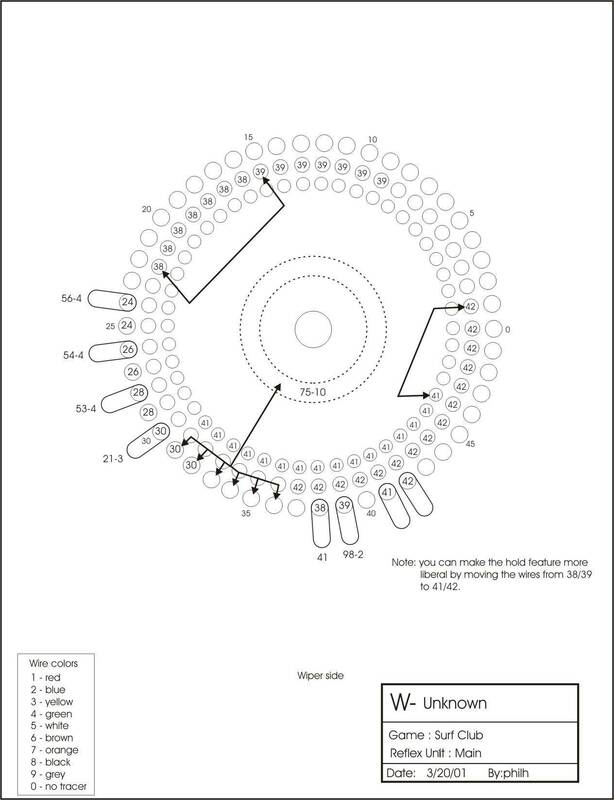 attached is the diagram. The issue is the string of 41 and 42 rivets. I'm betting the rivet labeled 41 at position 32 isn't there - or if there is a rivet, it isn't connected to the rest. anyone with a game verify? Also, pictures of the contact plate and wipers would be great. and just to make this post more useful, I found and added below a service bulletin on the game. Also added it to the bingo site. need to know if the rivet marked in red is actually there. 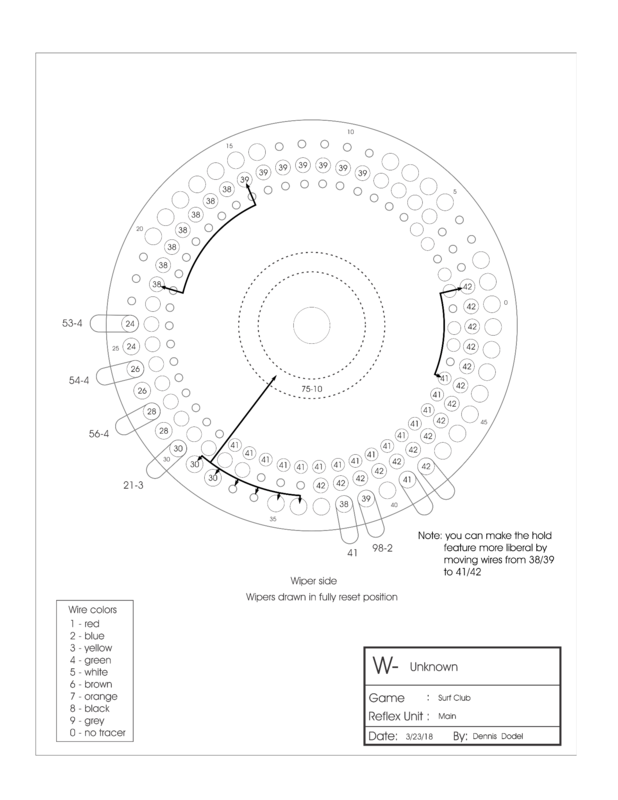 I screwed up the diagram - either that rivet isn't there or I'm missing one in the 42 string. a picture of the wiper side of the reflex unit would be great too. anyone have a surf club and can take pictures of the reflex unit? interesting extra rivets. Wonder if a previous game used a contact plate with that pattern and did something with them. Thanks Dennis and baldtwit - that updated diagram is also helpful to me, as I'm sure it is to many others.